First Highland Watch is Philadelphia’s premier Bagpipe Rock and Roll band, infusing bagpipes with Rock music, while also performing traditional Celtic songs and amping them up with an edge. 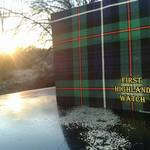 Since the release of their 2011 debut album “Drunken Piper”, First Highland Watch has accrued many accolades. Along with opening at a Philadelphia Union soccer game, the band has been a key hallmark at the Philadelphia Rock and Roll Marathon for the past several years and has been the main musical act at the annual Washington Crossing Brewfest since 2013. 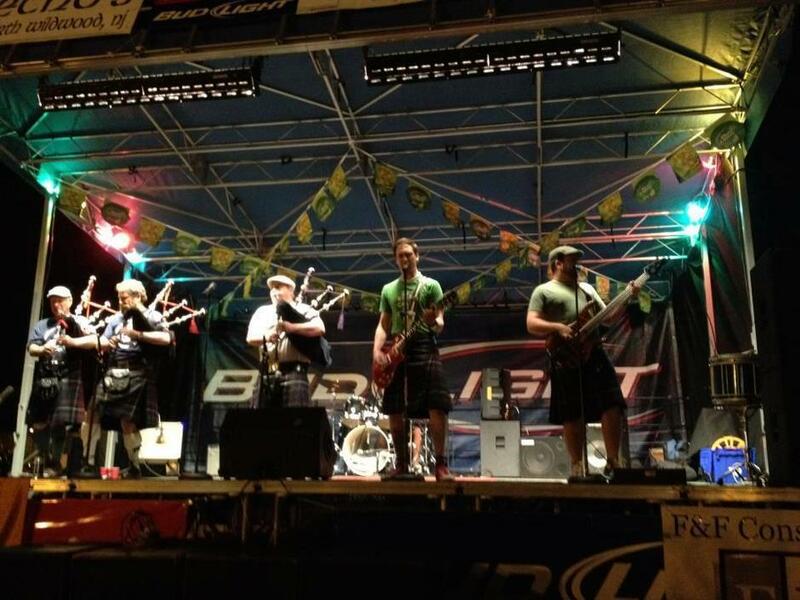 The band has also played Wildwood’s Annual Irish Festival from 2011-2013, and even headlined the main stage in 2012 & 2013, as well as being voted one of Celtic Music Podcast’s “Top 20 Celtic bands of 2012”. To date, one of the band’s most rewarding accomplishments was opening up for the world renowned Irish band, The Wolfe Tones, in March 2013. They are currently booking gigs, and promoting their newest album, aptly named “First Highland Watch” (also known as the “Plaid” album), and will be looking forward to playing and promoting in 2016. What can you expect at a First Highland Watch show? How about some Ted Nugent, Pink Floyd, Chuck Berry, and many more like you’ve never heard them! The fun doesn’t stop there. You will be roped in by melodic, hard-driven originals that will leave you speechless! The First Highland Watch started as a bagpipe band in the Philadelphia area back in the late 60's, and evolved into a street band (playing parades and concerts) to a successful competition band. The First Highland Watch competed at the Grade 4 level for many years in the Eastern United States Pipe Band Association, finishing in the Top 10 several times, and 2nd out of 55 bands in their most successful season. An invitation for the First Highland Watch to play an in-store concert at an indie record store led to an idea to add electric guitar and bass to the show. A few experimental gigs later, the band realized they had something unique...more Rock and Roll than an electrified Celtic Folk group; a Rock band using bagpipes as one of the primary instruments. Every now and then, we may come across something we'd like to share with our fans, as well as wanting to hear what you guys think of us. We'll be posting as we go, so keep checking back to see what's new. Also, please feel free to use our blog page as a sounding board, to let us know what you'd like to see, hear, or know about First Highland Watch.  First Review of Our New Album!!! First Review of Our New Album!!! Anonymous: First Review of Our New Album!! !